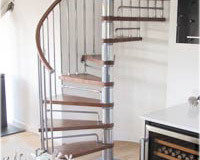 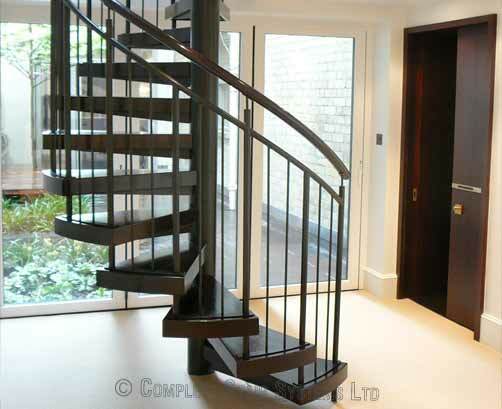 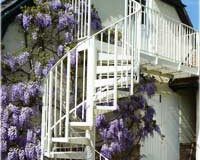 Our client was renovating a property and required a feature secondary spiral staircase to access a bedroom. 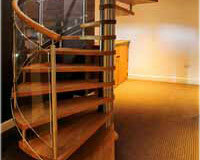 As it was the centre piece of the room it needed to stand out whilst still being in keeping with its surroundings. 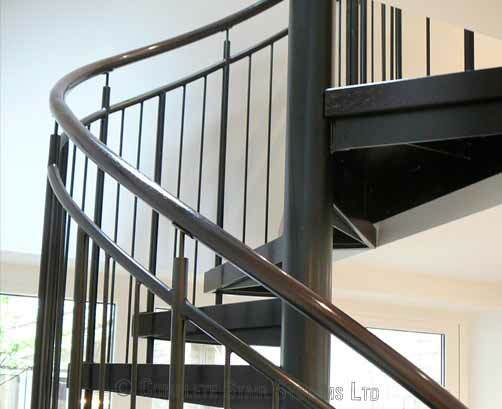 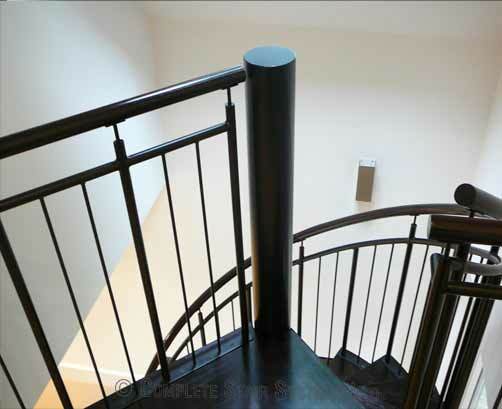 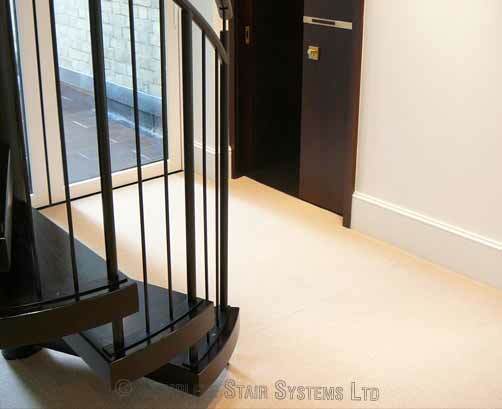 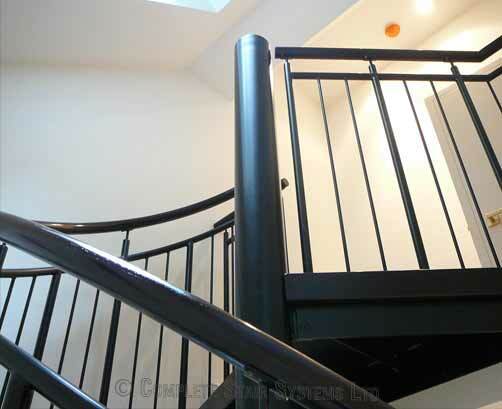 To maintain the light/dark effect used throughout the property the treads and handrail were constructed in Walnut and the steel tread supports and centre column were powder coated black. 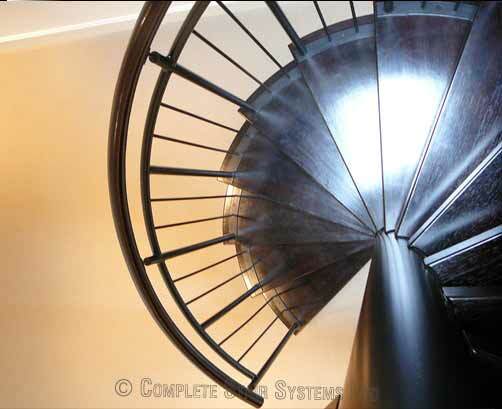 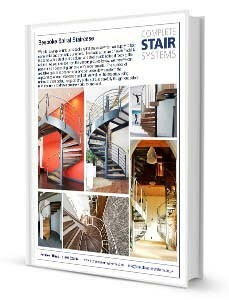 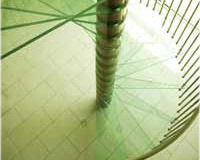 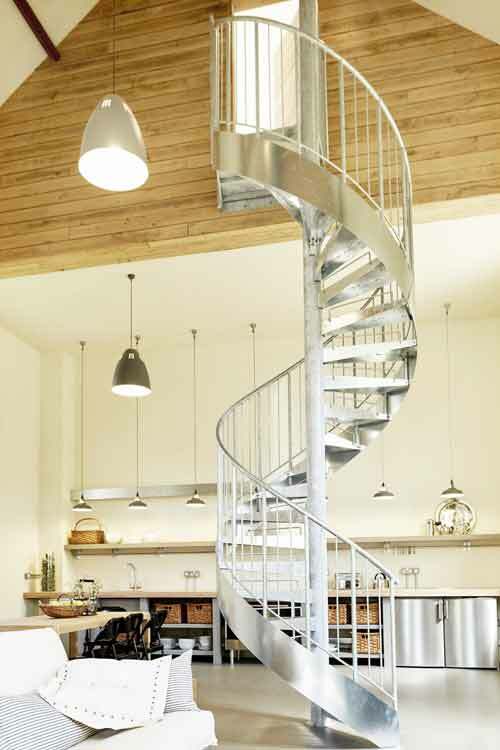 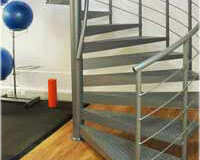 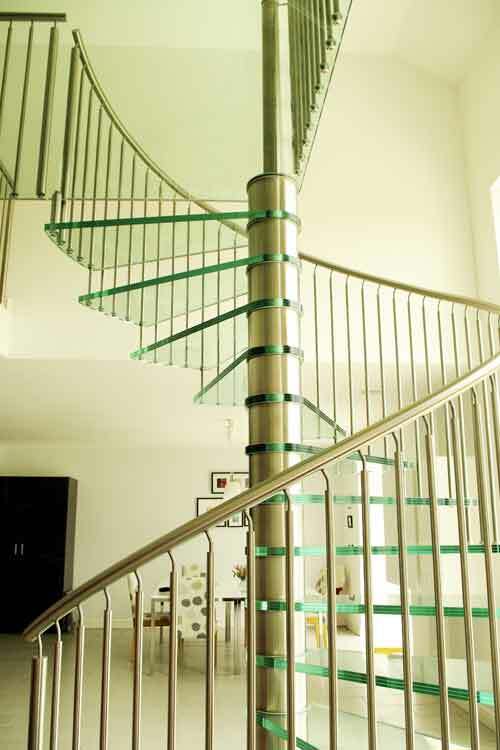 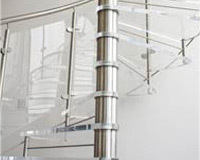 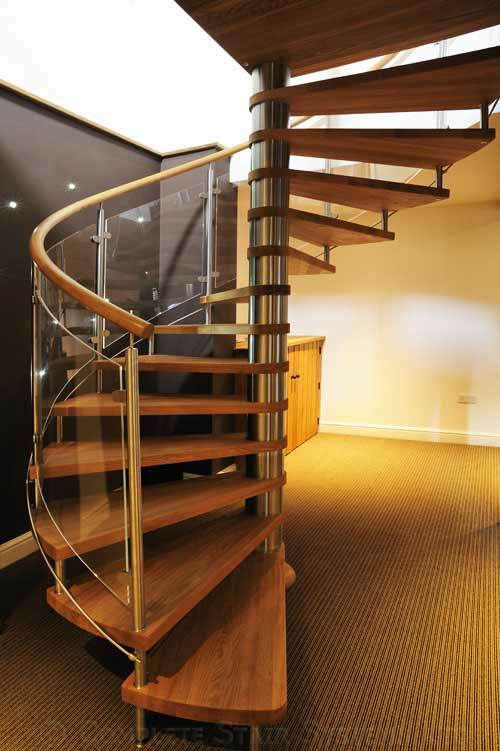 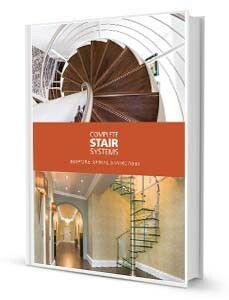 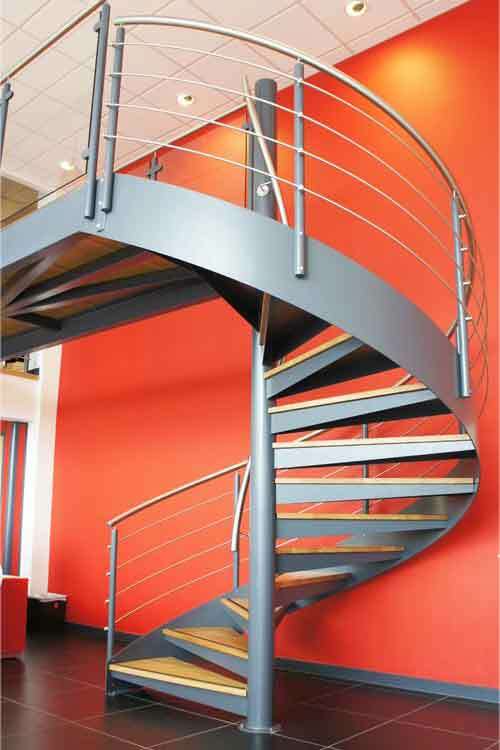 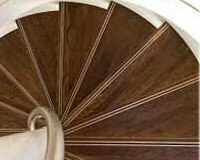 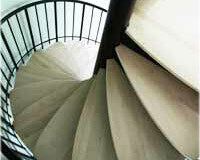 If you would like a price for this project Spiral Staircase Manchester, please fill out the form below.